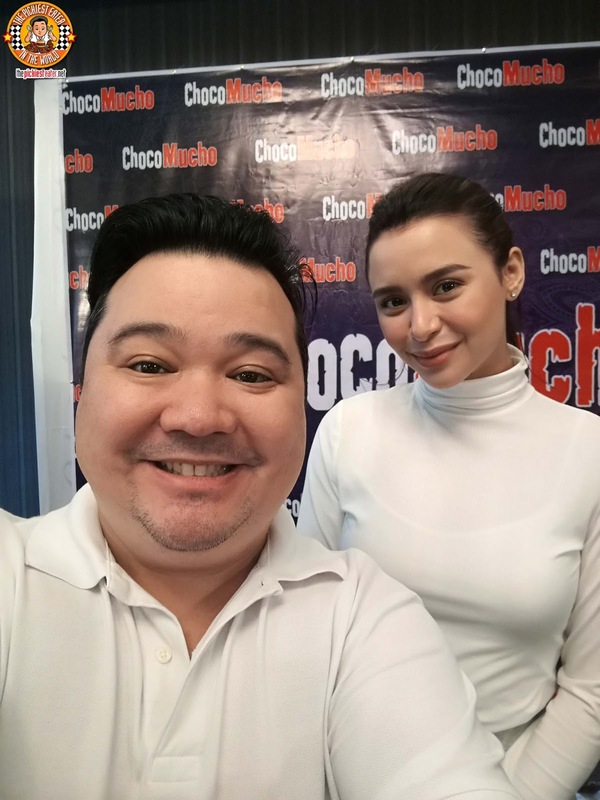 THE PICKIEST EATER IN THE WORLD: SAY YASS TO CHOCO MUCHO, WITH YASSI PRESSMAN! As odd as it sounds, I only truly "discovered" Choco Mucho last year, but since then I've been hooked. It was always one of those products that I would constantly see in the grocery but for some reason would simply overlook. Now, with one of the country's paramount beauties as the face of Choco Mucho, those days of being overlooked are being over. 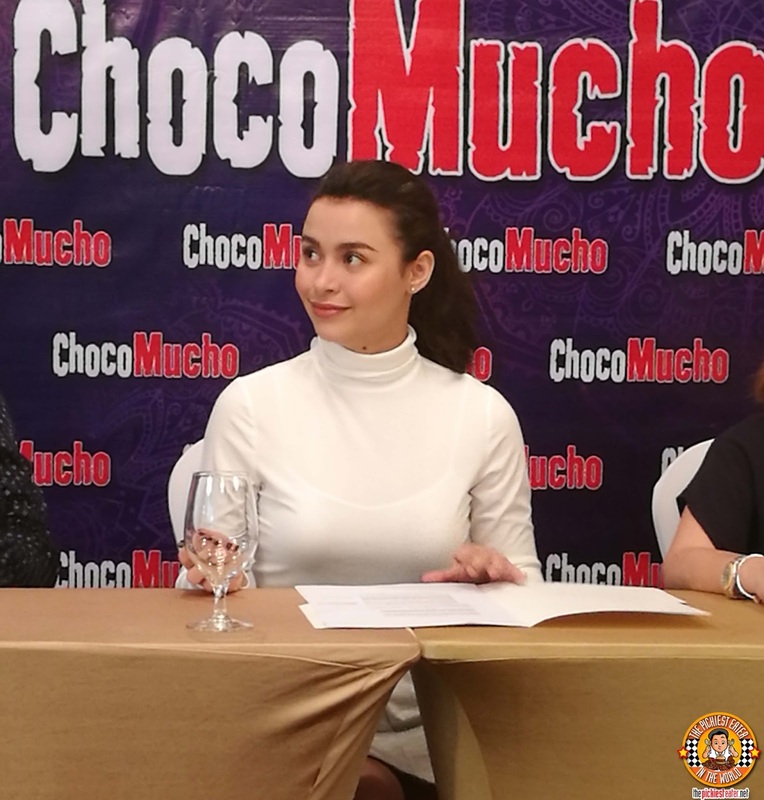 Yassi Pressman is now the newest Angel of Choco Mucho! After beginning her career in 2006, the Fil-British Actress' star has been on the rise. Yassi has been blessed in her career with appearances in countless TV shows, and movie roles consistently being offered to her. More than just a beautiful face and phenomenally talented actress and dancer, Yassi's down to Earth and genuinely warm personality is what very well may have endeared her most to her legions of fans. And it was also that innate sincerity that Resbico saw in Yassi, which made them decide to ask the otherworldly beauty to descend from the heavens just long enough to serve the face of Choco Mucho for this generation. What makes Yassi's selection as the face of Choco Mucho extra special for her, is that this is a culmination of what is virtually a life long love affair with the brand. She swears to have fallen in love with the delicious Chocolate Coated Wafer rolls at a young age, and still sees them as her go-to for a comforting pick me up. Last month, I had the privilege of witnessing Yassi Pressman's contract signing with Rebisco, formalizing her role Brand Ambassador for the extensive Choco Mucho line. Flanking Yassi, (from Left to right) was Kathy Simundo (Vice President for Marketing, Rebisco), Rey delos Reyes (Senior Vice President and Head of Marketing, Rebisco), and Veronique Corpus of Viva Artists Agency. After the formal contract signing was over, The key members of the Rebisco Team joined could not resist a photo opportunity with their newest brand Angel! I'm not going to lie, I couldn't help but want to get in on the picture taking as well! She's absolutely stunning, and she was incredibly accommodating, which reaffirmed in my mind that Choco Mucho made the right choice in choosing their newest endorser! During the short Question and Answer portion, I was allowed to ask Yassi a question. Since I wasn't allowed to ask for her number or if she was free later that night, I had to settle for asking which was her favorite Choco Mucho variant. As it turns out, she loves the classic flavor, since it was the first one she tried, and til this very day, isn't sick of. 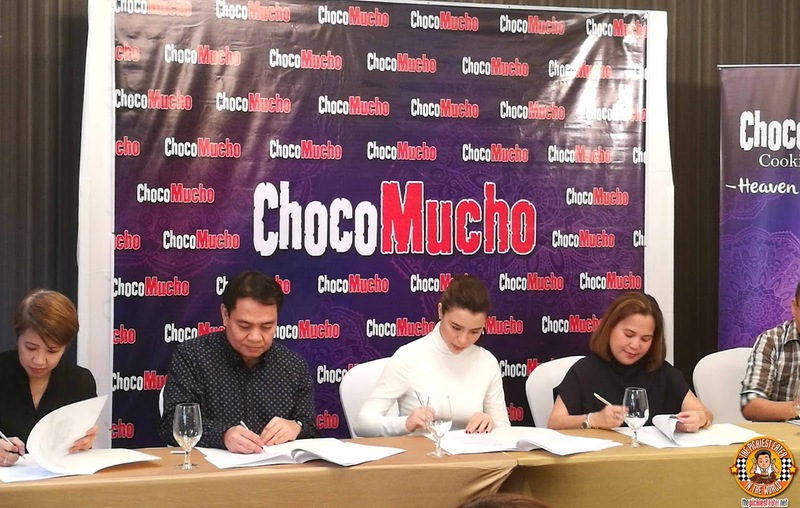 During the contract signing, Yassi's newest commercial with Choco Mucho was also unveiled, where the "Choco-Mandments" were declared. 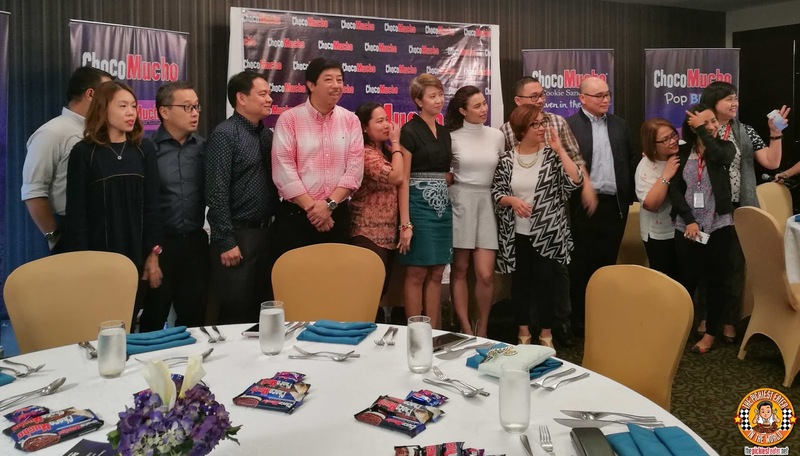 Congratulations to Rebisco and Yassi for the beginning of what looks to be a wonderful partnership! 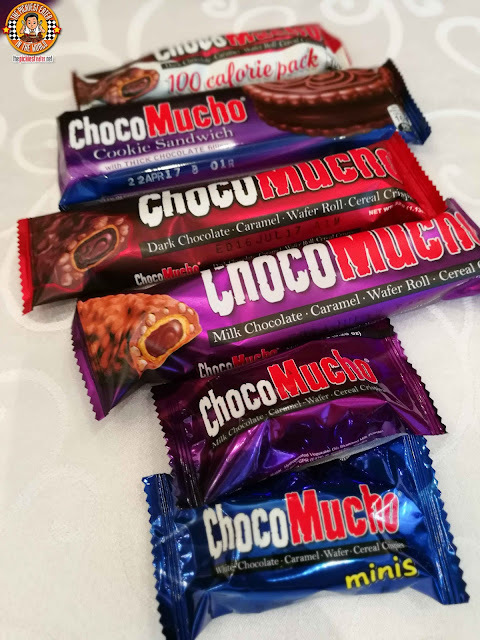 The Choco Mucho line has grown to include several delicious flavors, different sizes, and evn in a low calorie version, making sure there's a Choco Mucho for everyone! Oh and not to mention their cookie sandwiches are world class! Rebisco has a whole exciting new line of products coming up this 2017 so stay tuned!